Calcium Hydroxide (Lime / Edible Lime). 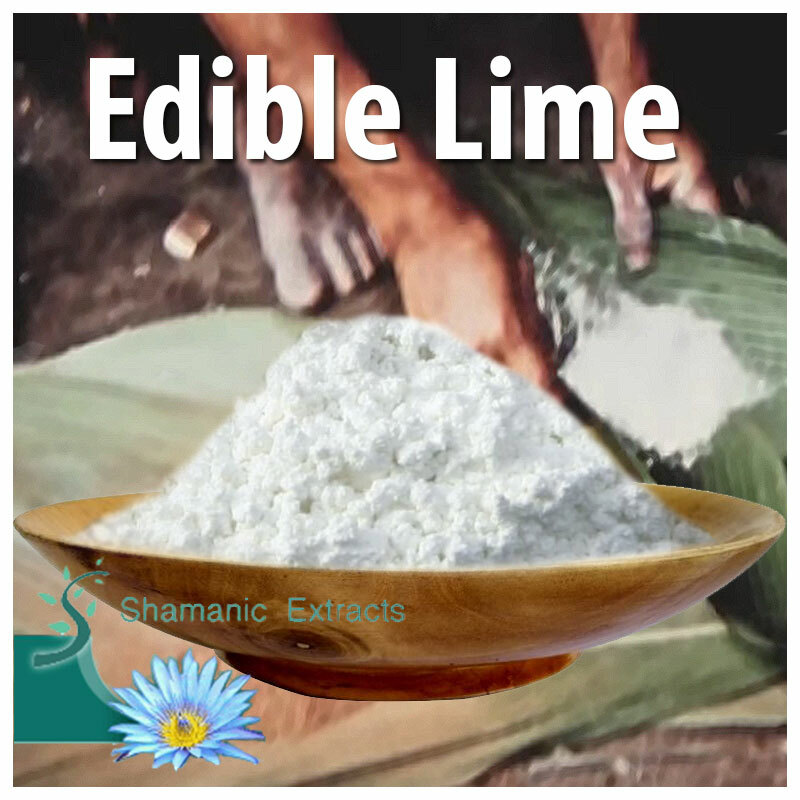 Most people don’t realize that edible lime needs to be mixed with the Virola resin to make snuff active. It is also used to mix with Yopo Seeds. Hydrated lime is a dry powder obtained by treating quicklime with sufficient water to satisfy its chemical affinity for water, thereby converting the oxides to hydroxides. Depending upon the type of quicklime used and the hydrating conditions employed, the amount of water in chemical combination varies.Hydrated lime, though only slightly soluble in water, forms suspensions easily; the resulting solution and suspension is strongly alkaline, possessing a pH of 12.4. "Can burn your mouth if you don't know what you are doing. Use extream caution!" Share your experience about Edible Lime with other customers. Submit your tips or thought on this product, be detailed and specific.